Have a financial life-altering event? Wanting to save more money for a rainy day? Here are 10 of the best ways to save money starting today. No matter how well off we are, odds are you wouldn’t mind having some extra money leftover at the end of the month. Maybe you’d like to have more money in savings or you’re saving every extra dollar you can for a vacation or to buy a house. I haven’t been able to work much the past four months because I ended up having to have surgery to remove an 82-pound ovarian cyst so I’m looking to save every penny I can right now. 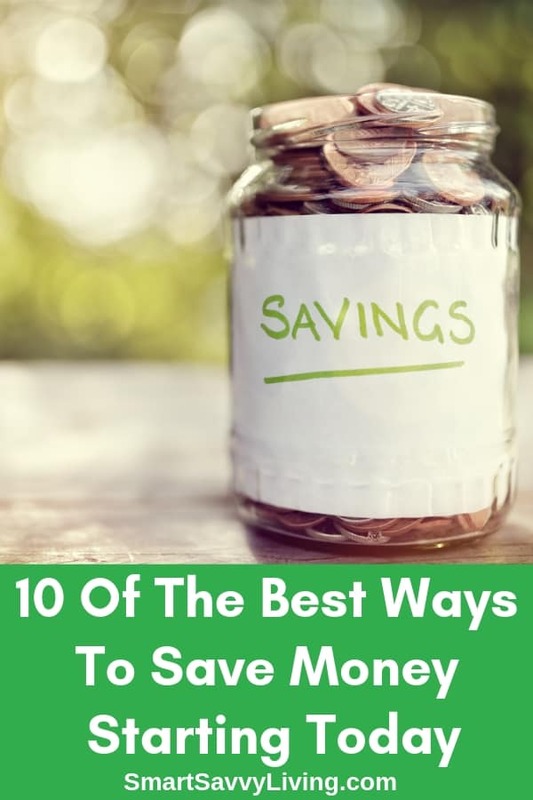 If this sounds like you may find these 10 of the best ways to save money starting today useful. 1. Check your appliance settings. I love the luxury of having so many appliances that make our lives easier. However, they use power, even when turned off but still plugged in, which can really add up. Yes, items from your cell phone chargers to your TV and even your coffee maker can continue to draw power to be ready to use on demand or power clocks and small lights even when turned off. Take some time to survey things that are always plugged in in your home but that don’t constantly use. Some things I like to unplug are small appliances like the toaster, TVs, and chargers. You can make this easier by using a power strip so you just need to flip one switch to turn items on and off. You may want to keep some items plugged in for convenience such as if you have to move the dryer to plug it in or your DVR/cable box as it can take several minutes to boot up each time. 2. Eat more meals at home. Whenever Mr. Savvy and I see we need to start saving more money the first thing we do is eat out less. I honestly love cooking but it is SO easy to fall into the money trap of eating out when you’re busy and tired. The biggest thing to remember is that cooking doesn’t have to be extravagant or expensive. Most nights we have simple proteins like baked chicken thighs with vegetables sauteed in butter or a salad packed with veggies. It’s not gourmet but it’s pretty healthy and filling. I usually cook extra throughout the week, too, so we can have leftovers for lunch. If there are still leftovers at the end of the week, we have a “buffet” of whatever you want or stick it in the freezer if it freezes well. Our standing freezer recently died but Sam’s Club often has sales on chest freezers so we got 2 so that we could continue to stock up on meat when it’s on sale. 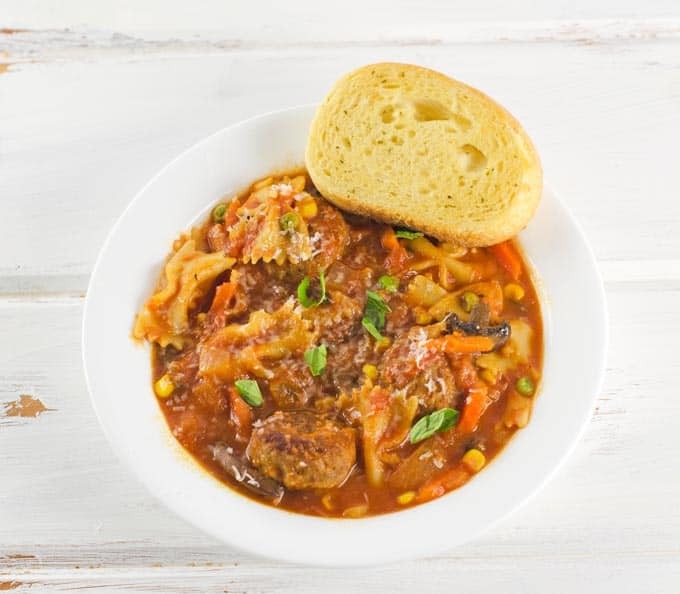 One of our new favorite stores is Aldi’s as you can often find ground beef for $2 or less per pound and chicken thighs for under $1 per pound, both of which can be used in a ton of dishes. Check out our tried and true recipes for ideas. 3. Do you really use all those memberships and subscriptions? Do you buy magazines because they’re fun to flip through but then they spend months on the coffee table never to be read again? Do you really use that music subscription enough to not justify just using the free version? Does half of that monthly subscription box just stay in the box? There are a ton of really cool memberships and subscriptions out there these days from warehouse clubs to boxes filled with neat little items delivered right to your door but the cost adds up. You might have even meant to cancel the subscription after one month and then it completely slipped your mind. This month take a moment to really look at all the memberships and subscriptions you have and if you use them enough to justify the cost. For example, when looking at our own I discovered it really was worth it to pay $15 a month for the Spotify family plan as it helps us be more productive, but we really didn’t need the $15 a month subscription to a game we rarely play. 4. Shop with savings in mind. One of the biggest ways to save money over time is to simply be patient and wait for a sale or other promotion. It can be hard to find the discipline to be patient for the things you really want but your bank account will thank you in the long run. Shopping sales doesn’t mean you never get to enjoy the finer things in life. For example, we really love a good steak and there is a local store that sells fantastic cuts of meat, but they can be pricey at $15 or more a pound. Instead, we wait until they go on sale for around $10 – 11 pound. Another example is that I have been eyeing a new keyboard since some of my keys were starting to stick and I noticed my fingers were getting more and more fatigued while typing so much. I kept checking the sales at our local Best Buy and was able to get a higher-end keyboard that was not only on sale but also included a $50 gift card to use in the future. Score! We consistently find the lowest prices on Amazon for everyday things like cat litter and others that we want to get one day like electronics. One of my tricks to keep an eye on prices is to add things I eventually want to purchase to my cart. This also works if you save them for later. I log into Amazon just about every day to check out the lightning deals but you’ll also see a message if the price of any of the items in your cart has changed. That’s how I was able to get the food processor I had been pining over for a few months for a whole $100 less than the usual price! With as much as we use Amazon I do find Amazon Prime to be worth it. While the free 2-day shipping (now even 1-day in some areas) is awesome, you also get free access to some music, books, TV shows, and movies. Sign up here to get a free Amazon Prime trial. If you’re a student you can get a free 6-month trial here. 5. Protect your good clothing. I’m very hands-on in most everything I do so I’m rather hard on my clothing when I’m at home. I get so many stains on my shirts from cooking, cleaning, and gardening. Not to mention the holes from the cats making biscuits on me. If I didn’t really look after my good clothing I would be spending a ton of money each year just to keep something presentable enough to go out in. As such, I separate my wardrobe from what I wear at home and what I wear out, even if it’s casual unless we have guests coming over. To help your clothes last longer it’s also important to clean them properly as directed on the tag. If it’s not a super hot day and I’m only wearing the outfit a couple of hours I will often wear my nicer clothes at least a couple of times before washing them, which helps them last longer, too. 6. Plan fun date nights at home. Going out regularly can be rather expensive. Even just going to dinner and a movie for 2 can easily be over $100. Do that multiple times a month and a good chunk of your paycheck is gone quickly. While it’s important to go out and have fun now and then, there can be a lot of inexpensive fun date nights at home instead. Cook your significant other dinner and enjoy it as a picnic under the stars. Enjoy a movie or TV night snuggled up on the couch together. Have some fun playing a co-op video game together. Have your own beer or wine tasting from brands you’ve never tried before. Take a relaxing bath together. There are so many things you can have fun with at home on the cheap. 7. Set rules for your spending. From my experience, there seem to be two main types of spenders. Those that can see a balance in the bank account and not be tempted to spend it and those that see money in the bank and look for things to spend it on. I’m the kind that loves to see the number in the bank go up while Mr. Savvy loves to spend. Needless to say, this can create a few arguments when we’re trying to save money. As such, it’s important for us to set rules for our spending. Our first rule is to always pay bills first. Before we did this we often ran into the trouble of having a bit too much fun spending our money on the weekend after payday which led to very little money left to survive on after paying bills for the next two weeks. For things that can’t be paid immediately online, I like to use a cash envelope system. This means we withdraw a specific amount of cash each month from our checking account and place it into separate envelopes for each item. Once all the money has been used, you don’t get to spend any more until it’s time to replenish the envelope. This works well for things that you don’t always spend the same amount on each month like groceries, going out, and gifts. If I happen to have leftover grocery money I tend to leave it in the envelope so I can use it if I find a really good sale on meat or produce that can be frozen. Other leftover money goes into savings or set aside to save up so I can do something nice for Mr. Savvy or myself. 8. Learn to do it yourself. One trick I have found to save money is to learn to do more things yourself and figure out what is best to do yourself that is both cost and time efficient. For example, I can make a large loaf of bread using all-natural ingredients for less than $2 and very little time versus spending $7+ at Panera. However, if I want something like puff pastry it can take hours and uses a lot of butter so I feel fine spending $5 for a box at the store. I’d also totally love being able to have a housekeeper come in once a month to do a thorough clean. Sure, it’s something I could do myself but I find spending this money to be worth the time and sanity saving. If we’re running tight on money, though, it’s an easy luxury to cut. However, I rarely style my hair that extravagantly so I often trim it myself at home instead of spending $50+. It’s all give and take of what works for you. Recently our dishwasher stopped draining properly so I looked up how to thoroughly clean it and dislodge any clogs. What I did was easy and worked and we easily saved the $100+ it would have cost to have someone come out to check it and potentially want to replace a part. There’s so much information available online to be able to do things yourself. Just always remember to be careful and follow any precautions! 9. Pay as much as you can on your debt instead of entertainment. Whether it’s a car, student, or home loan, credit cards or some other line of credit, just about all of us have some sort of debt. If you ever add up how much you’re paying a month against your debt it can be quite the surprise. As such, I find it really important to weigh if doing something for fun or buying something is going to be worth it versus paying extra towards my debt. Now, I’m totally not the kind of person that says you should never spend money to have fun if you have debt. I think a lot of enjoying life and staying sane means you should make it a point to spend at least a few bucks to do something for yourself every month. However, if a lot of your money goes towards entertainment each month while you pay the minimum against your debts you may want to rethink things. Think about how much money you’re losing by paying all that interest and all the extra money you’d have each month once you pay those debts off. And then when you get to that point, saving some of that money so you can buy things outright and not waste money on interest in the future and how awesome that would feel. 10. Maintain what you own. It’s easy to get sucked in by all the new and shiny things, especially since there are always new models with supposedly amazing improvements constantly coming out. Before you upgrade make sure those upgrades are something you actually need and will use. For example, even though both of us use our phones every day for work, unless it’s an OMG that’s going to help our productivity so much feature, we don’t upgrade each and every year. Our living room TV is several years old and doesn’t have neat features like connecting to the internet. But it still works so we haven’t upgraded it. Keeping current maintenance on items like your car or HVAC system may cost a bit of money upfront but can literally save you thousands in the long run by lasting longer before needing replacing. What are some of the ways you’ve been saving money?